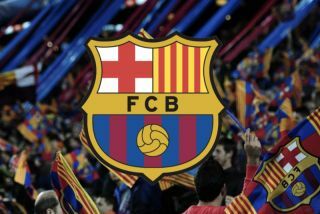 Barcelona have reportedly compiled a three-man shortlist to sign a new left-back in order to add quality and depth behind Jordi Alba in the short term. As noted by BBC Sport, the Catalan giants agreed terms on a contract renewal with Alba this week, keeping the Spanish stalwart at the Nou Camp until 2024. Given his influential role on the left side in Barcelona’s style of play and trophy haul in recent years, that would undoubtedly have been a major boost for all concerned to secure his long-term future. However, an issue remains in that department in terms of a lack of quality depth to cover him in the event of an injury or suspension. With that in mind, Sport claim that Barcelona have identified three transfer targets for this summer to offer depth and experience, without costing them huge fees to sign them. Nacho Monreal, Alberto Moreno and Filipe Luis are specifically mentioned as those potential solutions, with all three stalwarts set to see their current contracts with Arsenal, Liverpool and Atletico Madrid respectively expire this summer. In turn, they offer low cost alternatives for Barca and coach Ernesto Valverde to flesh out the squad ahead of next season as they look to continue to compete at the highest level on multiple fronts. It’s a sensible short-term plan from the reigning Spanish champions, as all three players in question have their strengths and could play a part next year. All three have played limited roles this year and are expected to move on, with Monreal and Luis playing 21 games apiece so far this season, while Moreno has managed just five outings. What is clear though is that with only the likes of youngsters Juan Miranda and Marc Cucurella in that position moving forward aside from Alba, it’s long overdue for Barcelona to address it and ensure that they’re suitably covered for a side consistently challenging for multiple trophies year in and year out.